America's highway rest stops are part of the fabric of this nation. They're an integral part of the highway systems that connect us. Good food isn't the point, it's about the experience. You told us the ten best rest stops in the country and there are a lot of them on there. I have no need to desire to eat at a Pea Soup Andersen's ever again, for example, but that would be missing the point. 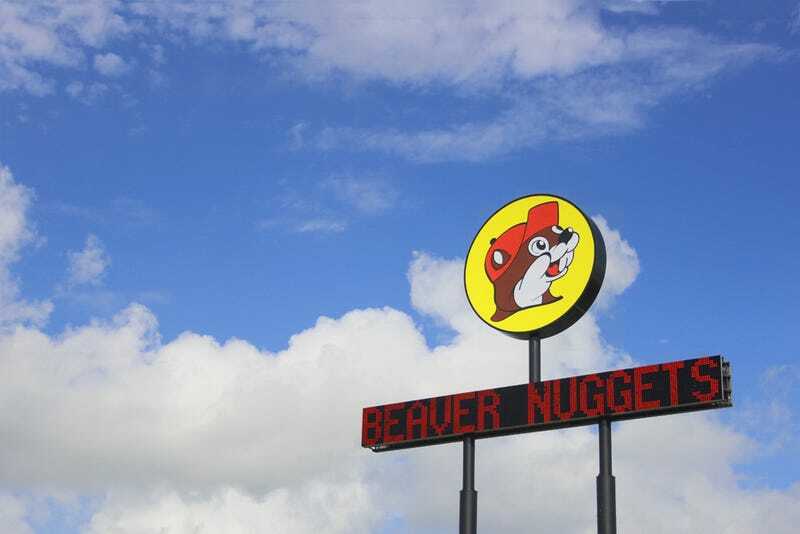 It's an iconic establishment located in the middle of nowhere, or right about where you need to stop and stretch after a long trip. I got to drive a Factory Five Type 65 Coupe to Buc-ee's in Texas. We shot a segment there for the upcoming season of American Detours... so we also made it our lunch stop for the day after shooting. I snagged my wife a keychain and I loaded up on random dried meats. Great choice for the list. Then the patriotism levels started to rise. The only way this story could get more American would be if a bald eagle landed on your shoulder as you walked out. At the conclusion of lunch, we all saluted the gas pumps as the every single person within three miles proceeded to sing God Bless America. Immediately after, a fireworks show lit up the sky as a pair of Bald Eagles mated on the hood of the FFR Type 65. Women wept, children screamed in joy, and men silently nodded at one another. You can't knock it until you've tried it.